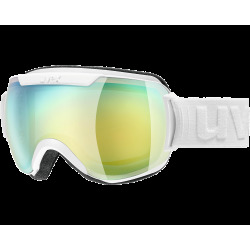 The lush over-sized uvex downhill 2000 VFM variomatic goggles just look fantastic. In powder it scores points with its frameless construction. 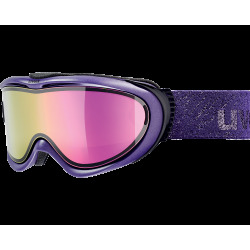 Even the heavier spray will glide easily off the goggle without sticking to the frame or affecting your sight. 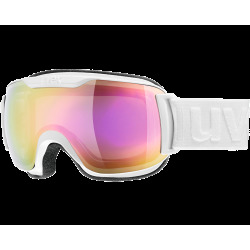 The lush over-sized uvex downhill 2000 VFM variomatic goggles just look fantastic. In powder it scores points with its frameless construction. 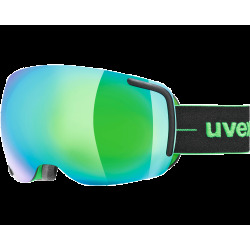 Even the heavier spray will glide easily off the goggle without sticking to the frame or affecting your sight. Whether worn over or under the helmet, the extra wide goggle strap with color-blocking always keeps the goggle in the right place. The mirrored lenses of these retro ski goggles not only look cool, but also offer complete protection from infra-red rays. variomatic lens technology automatically reacts to every light situation. The photochromic lenses dose the shading in three levels of protection, from S1 to S3, according to the light conditions. 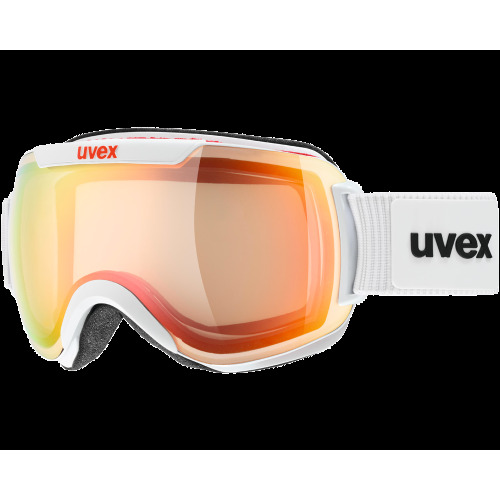 Of course, all uvex lenses provide 100% protection from UVA, UVB and UVC rays.